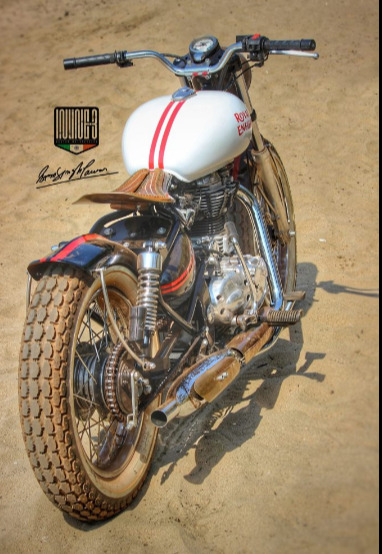 Chandigarh based bike customisation unit- inline3 customs motorcycles was founded by Aseem Singh Pawar in 2015. 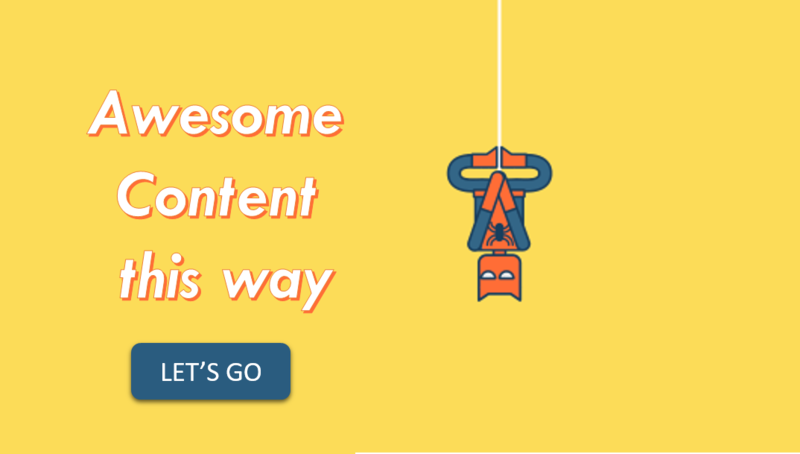 Their services includes complete modification and customization, they specializes in converting a bike in a dream bike with their vision and enthusiasm. Inline3 stands for perseverance, dedication and belief. According to the founder- Aseem Singh Pawar, the most certain way to succeed is to not giving up, what worked for Pawar( and many other successful people) was not quitting and being passionate about what he loves to do. Salt Flat is the world's first customised Royal Enfield Himalayan racer built purely of Aluminium Body Work and reducing nearly 25kg of weight in process which makes it the world's fastest Himalayan racer. 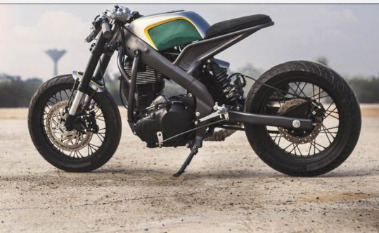 This Salt Flat racer was built for the south Delhi motorcycles- the largest RE dealership in Delhi. ● Custom stainless triple tree with gun metal nuts for the extra oomph. ● Checkered aluminum sheet was used instead of a leather seat. Built on Royal Enfield 500cc, this Tracker was specially designed for Royal Enfield rider maina 2016 in Goa. This was the first time Aseem worked on Royal Enfield for a customer project. ● Retro triple tree clamp installed with a wooden headlight. ●Copper seat pan and copper exhaust shield. 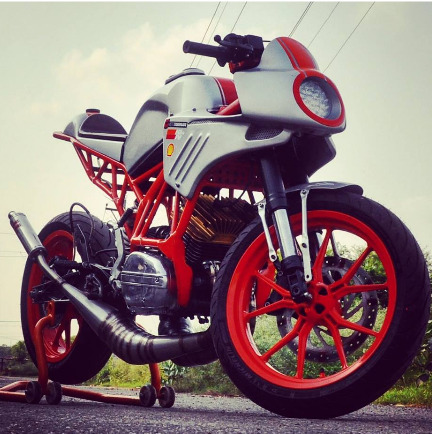 This KTM Duke200 cafe racer was the 2nd build from Inline3 customs motorcycles. 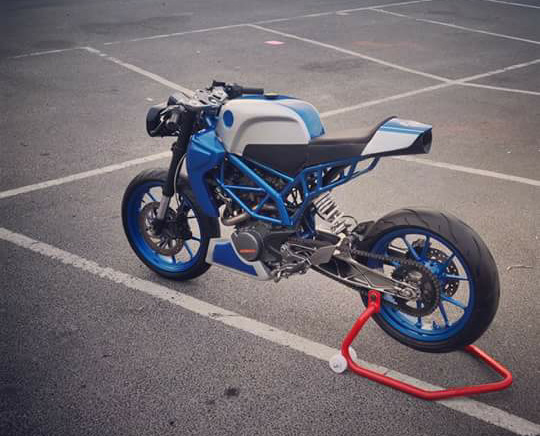 This bike modifications was done within 2 months and according to the founder, he named this bike Sonic because it's small fast and agile just like Sonic (video game). 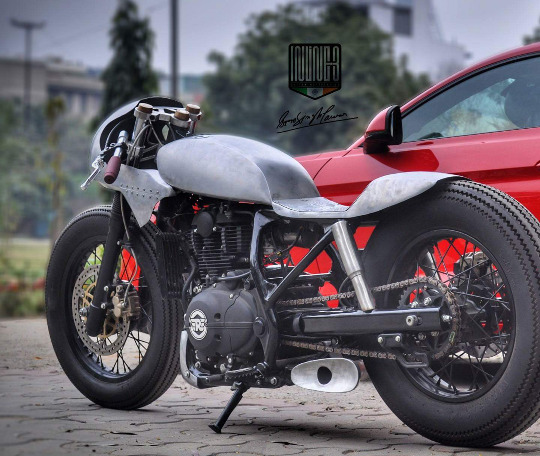 Tony is a unique combination of Royal Enfield heart into Yamaha delta box frame. The bike was built within 2 months, specially for IBW bike build off championship. It has got all sorts of performance parts possible in a chopper and bobber- Forged wossner piston, performance valves, cams, engine bearings, con rod and power commander ECU all sourced from Hitchcock motorcycles UK. This modification was the unique combination of Yamaha RD 350 heart in a Duke chassis. It was the first ever modification by Inline3 customs motorcycles, and after that the founder got the green signal towards his dreams.